At an event in Pakistan yesterday, Nokia had something in its presentation that looked a bit odd. There was a tablet alongside a Nokia device (actually between a Nokia device and a desktop device, but no one seemed to notice that), and so the interwebs started buzzing that Nokia would finally break out of the smartphone market and build a tablet. Well, Nokia has commented on the speculation, and you probably could guess what the response was. That’s not a leak. That is a picture that simply shows WP UI alongside Win8 Tablet UI alongside Xbox UI. They are not Nokia specific products. This is a pretty reasonable response, because it's not like the webs were blowing up with speculation that Nokia was building a desktop machine just because there was a desktop monitor in the picture. Of course, we have to point out that denying that the image was a "Nokia specific product" is not the same as denying that Nokia is building or planning to build a tablet. So, you can take what you will from the statement. Put a clear confirmed picture of the tablet before my eyes, then only i believe. It is better not to produce Windows RT tablet becuase it would be epic fail like the Playbook. Surface RT is a disaster. Why should Nokia first tablet die on arrival ? Nokia think wisly and fire Stephen Flop. Please ! Agree. 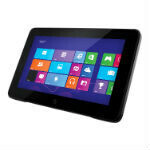 Nokia should make Win8 Pro tablet instead... But I don't agree Mr. Elop should be fired. For all we know, he must be the only one now holding the company together. Besides, if the board didn't like the plans, strategy, and the results Elop has for the company, they could have fired him long ago but they didn't. but still they need a tablet!!! i'll buy a Windows tablet but only made by nokia! Nop, I dont thinnk so! those are Nokia Tablets endeed!!! My suggestion for Nokia: Make sure it's not Windows RT! Make it PRO! RT is like a glorified iPad. The iPad is a glorified iPad.